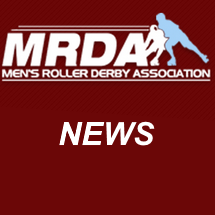 2019 MRDA Qualifiers – Announcer applications are OPEN! Announcing applications are now open for European Qualifiers in Aberdeen, Scotland and North American Qualifiers in Rome, New York. We’re looking for Tournament Head Annoucers for both events, along with folx for Broadcast and House call roles. Tell the story of what’s happening on the track! Applications for THA will close on 15th May, general announcing applications a month later on 15th June.